But enough of cute little boys with their mommies….on to session #2 of Q&A’s on my hCGChica podcast. 3 more great questions to answer for you guys today- questions submitted by you guys – real questions from real people – if they wondered it, you most likely wondered it too. There are few questions I’ve had by email only once, so I hope these Q&A sessions will be helpful to a larger number of people. You can either just stream this audio right here from this blogpost, or you can go to the itunes store and download it to your tablet or smart phone. If you subscribe to my podcast you’ll get automatically updated when a new one comes out. Question 1: Do you ever get bouts of low blood sugar on the hCG Diet, and how do you deal with it? Question 2: I’m interested in either the prescription hCG liquid drops or the pellets from NuImage Medical. Which do you recommend? I’ve done the injections and they worked fine, but I’m thinking that I want to do something different. Questions 3: What about the hCG Diet for men? How does that work since hCG is called the pregnancy hormone? It occurred to me that some of you may be interested in monitoring your own blood sugar on this protocol- if any of you decide to do the diet without fruits and melba as I have one 2 rounds, I almost think it’s a bit of a must at the beginning. Following is the exact meter I use. It’s just a tiny prick to check it and doesn’t hurt at all. You need 3 items to use the little system: the glucose meter, the test strips, and the little needle/lancets. Each lancet and test strip is a one time use thing, and they usually come in boxes of 50 or 100. The meter itself is quite cheap – about $13 – it’s the needles/test strips that add up the cost over time. 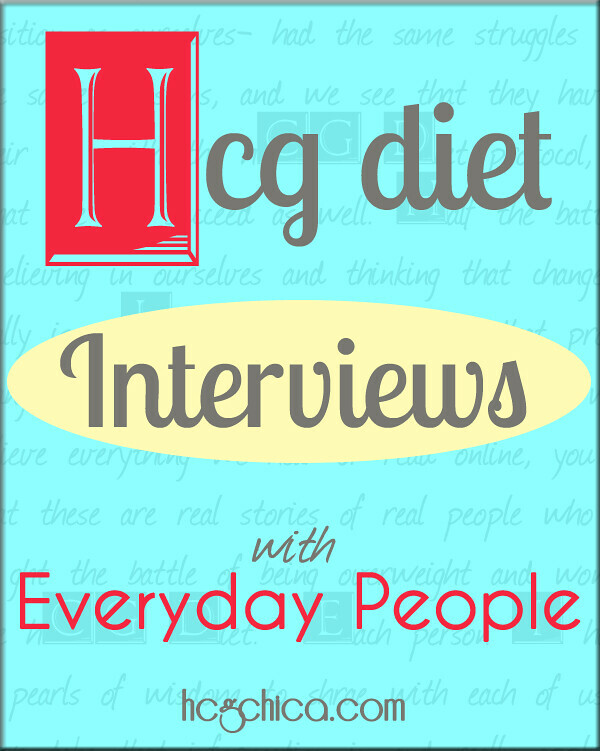 Have Your Own hCG Diet Question? Leave Me A Voicemail! I am so loving technology. Now you can leave me a message for free, through your computer, tablet or smartphone, with the click of literally, 1 button. Send in your hCG question and I may include it in my next podcast episode! If you type in your email when you leave the message I can also respond to you personally more quickly so that you’ll have your own answer in the meantime. HCGCHICA: Hey guys, HCG Chica. Welcome to my podcast. This is Session #2, or Episode 2, whatever you want to call it. Before I start, for any of you who are new to me, I want to make sure you know my background so you know why I’m here talking about HCG. I actually lost 50 pounds with this weight loss protocol using injections. I’ve kept my weight off for a whole year now, which I’m super proud about. I’m actually literally having my one-year weight maintenance anniversary in about a week coming up here in November, beginning in November, so I’m really excited about that. If you’re wanting to get more information just about HCG in general, you can go to my website, hcgchica.com. The last thing that I find it really important to mention to you guys is that I am not a medical professional, so please don’t take what I say as medical advice. What I am sharing with you guys is my own personal experience, what I have observed in others, and just my own research around the web of different topics. So just take everything I say with a grain of salt and do your own due diligence. But hopefully it will be helpful to you in making your own decisions to do the HCG diet or to keep you motivated if you’re already on it. So let’s get started. Q: Hi. I was just wondering, on the HCG diet, do you ever get bouts of low blood sugar, and how do you deal with it? Because I get bouts of low blood sugar, and I’m not dealing with it as well as I probably could be, and just wondered if you did. HCG CHICA: I’m really glad that you asked about this, because yeah, dealing with low blood sugar feels horrible and it’s definitely not something that you want to ignore, so I’m really glad you’re trying to figure out what to do about it. In answer to your question, yes, I actually have gotten some low blood sugar. Usually when I do, it’s towards the beginning of my round of HCG. In all honesty, most of the time, it’s a dosing issue. That’s probably going to be a surprising answer for most of you guys listening. I didn’t know this at first either. But I actually do have a little glucose meter and everything where I can actually check my blood sugar. For me, if my blood sugar gets below 85, I start feeling not right. I think it’s below 80, I’m really not feeling right, and I’m feeling this very weird half-faint, weak feeling and half-jittery urgency inside like I need to eat something or something needs to happen. It’s a horrible, horrible feeling. So if you ever feel like that and you don’t have a glucose meter, for you guys listening, you might want to suspect that as a possible cause. The first line of defense, obviously, when you get low blood sugar, you do need to do something immediately about it, so the best thing to do would be to eat a piece of fruit that will have a little sugar in it. In the past, the reason that I actually got low blood sugar on the beginning of my last two rounds was because I wasn’t eating the fruits or the grissini and melba. Sorry, you guys, excuse my voice; I’ve been talking for two or three hours now, so my voice is getting hoarse. But anyway, since I too out the fruit and the melba, that made the diet super, super low carb, so for me, that’s why I was starting out with a little bit of low blood sugar at the beginning. At first, since I was trying to not eat the fruit, I was trying to get my blood sugar up by eating a little cucumber or cucumber with a little bit of fat-free yogurt, stuff like that. It didn’t really help much. So those types of things don’t seem to really help. Ideally, when you get low blood sugar, probably a piece of fruit or half a piece of fruit. You don’t actually need much a lot, but just definitely something with a little bit of sugar in it to fix the low blood sugar issue for that moment. However, as I was discussing with the dose, the long-term answer I do think has a lot to do with the dose of the hormone in part. Or the other thing that can play a role is just if you’re getting low blood sugar only at the beginning, sometimes it takes a little while for your body to kind of adjust to the diet and transition from carb burning and burning carbs for fuel to fat burning and burning your fat for fuel. That transition I think can be a little uncomfortable, and I think it could probably cause some low blood sugar. So that could be it, and in that case, it will kind of resolve on its own, and in the meantime you can just eat a little extra fruit as necessary. You’re not going to gain fat or not lose weight or ruin your round if you need to eat a few extra strawberries here and there, so don’t worry about that. It’s definitely important to take care of the blood sugar. But outside of that, it could be a dose issue. It’s very surprising, if you’re on too high or too low a dose, it can cause excessive hunger. This is a surprising thing for most people. Most people think the more HCG, the better, but that’s actually completely not true. For most women, they do good on a dose of 125 to 150 IU. For most; it is going to very a little bit, but that’s the majority. Say your best dose is 150, but you’re not aware of that yet, and you’re on 125. You’re going to feel extra hungry, and as a result, you may get low blood sugar. Let’s say you’re on 175 IU. Same thing’s going to happen. You’re going to be extra hungry and you may get low blood sugar as a result. So just keep that in mind. That would be one of the first things I would do. The following day, I would try adjusting my dose to see if that could be the main culprit of the low blood sugar. And as far as knowing whether or not you need to go up or down, sometimes that can be a little tricky, but typically, if you take your HCG in the morning and you get a lot more hungry earlier in the day, usually that means your dose of HCG is too high, because it’s like you took your dose and now all of a sudden you’re hungry fairly close to when you took your HCG. That can often mean yes, that the dose is too high. However, if you take your dose of HCG in the morning and then you’re not hungry all day, but then all evening or when you wake up the next morning before your dose, you’re just really hungry, that would be an indicator that your dose is too low and that you need a little more HCG because it’s not carrying you through that 24 hours till your next dose. It’s kind of getting too low in your system those last few hours, so in that case you might try a little higher dose. And do keep in mind that really small, small changes make a huge difference. It’s surprising; you wouldn’t even think going from 125 to say 135, you wouldn’t even think that would make a difference, but it actually can. Or going from 125 to 150. That’s a good change. Don’t do it too fast where you try 125 and then you try 175. That’s too big a change, and you may have bypassed your happy dose, so you’ll go from being hungry because you don’t have enough to being hungry because you’re taking too much. That’s just one of the things that I would try for sure. For the two rounds that I did have some low blood sugar at the beginning, like I said, I wasn’t eating the fruits or the melba, so for me, that’s part of it, but I did adjust my dose a little and then it did resolve. I’m still not completely sure if it was the dose or the fact that my body was just adjusting to the VLCD. But anyway, definitely the fruit. Definitely take care of it, eat a little more. Don’t just suffer through it. I definitely don’t think that’s the answer. So I hope that helps. Q: Hi HCG Chica, this is Carmen. I’m ready to order some more HCG from New Medical, and I’m interested in either the liquid or the pellets. WHIch do you recommend? I’ve done the injections and they worked fine, but I’m thinking that I want to do something different. So if you can give me some feedback, I’d appreciate it. HCG CHICA: Hey, Carmen. Thanks for your question. I’m actually really glad that you asked that, and I do have a little feedback to give you guys, and probably there’s a lot of people wondering this. Nuimage Medical, they’re one of the few people actually that offers prescription HCG pellets. A lot of the pellets that are out there are homeopathic pellets. As far as I know, Nuimage Medical is the only one online that does have pellets that are prescription HCG. On the surface, I think the pellets sound really easy, because the way they dispense it, it’s just one pellet that you take once a day, in the morning, that you would place under your tongue and it would gradually dissolve. I like the idea of this, and I have had a couple people email me, actually, who have used the pellets so far who had good feedback for me. They said they didn’t feel hungry and it felt really good for them. However, I want to mention a concern that I have that might make many of you choose to go the prescription drops route, and that is the fact that you know with the hormone that in order to be not hungry, getting your dose correct is really important, and that is a really individual thing. Additionally, when you’re on a round, even if you have a good dose, you may still need to adjust it later as you continue to lose weight. The problem that I see with the pellets is that you can’t really change your dose. It’s just this one pellet, and you could break it in half, but there was no way that you would need half of the dose you were taking. But if you needed to make some slight adjustments to deal with some hunger, it would be very difficult to do it in a way that was consistent on a daily basis. That’s my one concern with that. On the other hand, with the prescription drops – I want to make sure I mention this: all the HCG from Nuimage Medical comes as a powder; all prescription HCG that you get from anywhere should always be a powder. Once it’s mixed with liquid, it becomes a lot more volatile and it starts losing its potency over the next few weeks. So it does come as a powder, but then you mix it. But anyway, with the drops you have more flexibility, because you can reduce the number of drops. Usually with drops HCG, you’re dosing it twice a day. That’s typically how everyone doing drops does it for prescription. Anyway, I hope that helps you with that. Again, I think the drops route would be just better as far as being able to adjust your dose and find the dose necessary and then be able to use that dose on a consistent basis daily. With the pellets, you might luck out and the dose that’s in that pellet is the right dose for you, and then in that case you feel great. And I did get a couple emails, a couple guys saying “Hey, this is working perfect for me.” But if it doesn’t end up being the right dose, you could run into trouble. So that’s my feedback on that. Hopefully that’ll help you decide what’s best for you. Additionally, for anyone who doesn’t know, if you go to Nuimage Medical through my site, through hcgchica.com – you’ll see my Buy HCG page on there – there’s actually a discounted price through me that you don’t get if you were to buy through Nuimage Medical directly. Just kind of a heads up on that. You don’t have to do that, obviously, but you will save actually an additional $50 off of your order, which is actually pretty significant. Again, they have injections, drops, and the pellets. Yeah, that’s it. Q: Hi Rayzel, Barbara here in Santa Barbara. I have another good question for you. I’m wondering what you think about this diet plan for men. We were really curious about it because since HCG is the pregnancy hormone, how is it okay for men to take it? Does it have any negative side effects for men that are different than the potential side effects for women, and how is it that it’s okay for them to take the pregnancy hormone? Wondered what you thought about that. Thank you. HCG CHICA: For this question, what I’m going to do is I’m going to give you a little real world type of information, real experiences guys have had on the diet, and then after that I’ll go into just a little bit of scientific stuff, just so that it can maybe help you see from that perspective why the diet can work for men and whether or not it’s okay. I actually have a recent interview that I did with a man named Nathan, who lost over 100 pounds – actually 110 pounds in just six months on the diet. I’ll link to the interview with him in the show notes so you can see his whole interview. I ask him all kinds of things, like did you notice yourself losing strength while on the diet? A lot of men are concerned about losing muscle, because they’re doing the same diet as the women. When they’re on the hormone, they’re eating the 500 calories as well, for the most part. So for men, usually their concern is losing muscle and strength. But he did not feel like he had lost strength. He was able to do so much more physically after the fact than before because of losing so much weight. He had his doctor monitoring his different levels of health. All of his lab tests dramatically improved just partway through his weight loss journey in fact. So that was rather remarkable. So he’s one example. I actually am hoping to be interviewing more men in the near future. I’ve got a few waiting in limbo. But until then, I can just cite a few other examples. One is my own husband. Not too many of you know or remember that my husband actually did a short three week round of this protocol when I did my first round. We actually did this protocol together that first time. He’s actually never been overweight his entire adult life, but this one time he had gained about 20 pounds. So we did this round, and he did, he lost about 23 pounds or so in the three weeks. He started at 207, I think, after loading, and he finished at 183 or 184. He’s about 5’11”. It’s been almost three years since that time – we did our first round in February of 2011, I guess. To this day, he’s never regained that weight he lost. He’s pretty much always around 185. Never had a problem keeping it off. I’d like to mention, with both of these guys – my husband, he lost a lot, basically a pound a day, and Nathan, 110 pounds in six months, which of course was divided up into rounds. So men really do typically lose a lot of weight on the diet. They often do reach that magical one pound a day number that a lot of us women wish we could reach, but never seem to be able to. That’s very common for them to lose that much. The other person I can cite is my dad. He actually did a round of this diet in the not too recent past. He lost I think around 20 pounds, and he’s also kept it off. It’s been several months now. He’s doing his bike riding, which he loves to do, and he’s totally kept it off. No issue at all. He’s been really pleased, actually, because this is literally the first diet he’s ever done. He’s never done any other diet before, and it worked very well for him. Anyway, those are just a few examples. The diet really does work for men. I wouldn’t even say equally well as for women; I would say it works even better for men than for women. They usually typically retain even more of their muscle mass as well than women do. It’s pretty remarkable. But I want to talk a little bit more now about the scientific side of it, why it is that it can work. HCG is often referred to as the pregnancy hormone because that is when it’s produced in the largest amounts, so that’s why it’s referred to as that. But actually, surprisingly, HCG is produced at other times by both males and females. There actually are very, very tiny levels of HCG that men and women that are not pregnant can produce. Typically, they’re so tiny, though, that they’re not even really detectable on any testing, so it’s not really detectable usually. In fact, it said for women who are non-pregnant, the normal amount of HCG that a non-pregnant woman, whatever, in the prime of life, would have would be less than 2 IUs. Just 2 little tiny IUs. As a comparison, you know if you’re taking a dose of HCG, typically the smallest dose in general a woman takes on the diet is 125 IUs. So just a tiny, tiny amount. And men do also. There’s very tiny amounts of HCG that men can produce at times. So it isn’t just a female hormone, and it’s not just produced during pregnancy. It is produced at other times. That’s just one little thing there. The other thing is the HCG hormone is actually structurally very similar, the way it’s designed, it’s very similar to the hormone called LH, or luteinizing hormone. I want to talk about this for a minute because there’s a connection with testosterone and HCG here that involves men. Because HCG is so similar to luteinizing hormone, it basically acts in the same way. Luteinizing hormone, actually, it’s produced from the pituitary gland, and it actually is what signals the testes to make testosterone in men. That’s usually how that works. What has been found is that if you take HCG, because it’s so similar to luteinizing hormone, it can do the same thing. HCG can also signal the testes to make testosterone. As a result, there are actually various for HCG with men unrelated to the HCG diet. For males, HCG can be used medically to fix things like undescended testes, and then also – this is known in a lot of the bodybuilding forums and stuff if you read around for awhile, but steroid use is known to inhibit natural testosterone production in men. Oftentimes, what men will do is after a cycle of steroid use or whatever, they will follow that with a cycle of HCG. The amounts they take are different than what we take on the diet, but they take HCG because it does effectively cause a man’s body to start producing testosterone in normal amounts again. So it’s pretty reliable when it comes to that. It does do that. It’s kind of acting as the luteinizing hormone, because they’re just so similar. So that’s done all the time. HCG is also being used just for regular hormone regulation for men who are having hormone treatment. They’re using HCG for that. Anyway, those are just examples to show that HCG is used with men in various different ways, not just on the diet. There’s just one caution – and I don’t exactly know how this would all play out, but there is, basically for men, if they have – basically one indicator of prostate or testicular cancer is elevated HCG in a male. Elevated. Normally a male would have very tiny amounts, like less than – I think it actually says less than 0.8 IUs that they would be able to test usually. But if a man went in to his doctor and had these HCG levels tested, if he had elevated levels of HCG, more than what was normally there for a man, it actually can be an indicator for prostate or testicular cancer. It doesn’t mean they have it for sure, but it’s an indicator where they would then go in and check to see if they have that. The reason for that is because HCG can actually be produced by certain cancerous tumors as well. So the hormone is not only produced by the placenta during pregnancy. The pituitary gland actually can produce HCG in small amounts, and then with these certain cancerous tumors actually produce a certain amount of HCG. They don’t know whether or not the HCG is actually a problem itself or if it’s just an effect of the cancer, but the reason I want to make sure I mention it is because if you’re a man in your 40s or 50s and you haven’t recently been checked, prostate cancer is, as far as I know, very, very common in middle aged men. If you weren’t checked for prostate cancer and then you went on the HCG diet and you actually had prostate cancer, I don’t know how that combination would work. It might be safe if you’re in that age bracket to just check those levels first to make sure, and then do the diet. Just as a safety precaution. For the most part, I doubt this probably is hardly ever a problem, but just to be safe, to me it seems like it would be a wise thing to do, just since at this time, people are not sure exactly how the HCG plays into the cancer in that case. I hope that that’s helpful. Like I said, males do so well on this diet. They often retain their lean muscle mass very well. They can get really cut with it and lose a lot of body fat. And surprisingly, you think men and women are different in normal day-to-day life, we take in different amounts of calories and stuff, but it is pretty amazing; if you’re on the right dose of HCG, most men can do around that 500 calorie range. My husband did say that he was a little hungry when he did it, but looking back, I think he was probably not on the right dose. When I was helping my dad do the diet, he was hungry at first, and we played around with his dose a bit and eventually we found a better dose. I think for him, that ended up being 200 IU. And then he wasn’t nearly as hungry. Just from the different people that I’ve observed doing it, it seems to me like typically, men need a slightly higher dose than women. It’s just something to keep in mind for guys. Before you try upping your calories – which may at times be necessary, but before you try that, try adjusting your dose first, because the dose really can create that non-hunger state, and it does seem to me that while women do best with 125 to 150 IUs of HCG, typically on the diet, that’s going to be the vast majority – for men, overall it seems to me like that dose is a little too low for them, often, and they’ll be hungry. They’ll need a dose higher, more like 175 to 200 IU. That’s just what I’ve noticed. I can’t be sure; I don’t have a huge sampling of men to take that knowledge from, but that’s just my observation there. Thanks for listening, guys. I hope that you guys found the answers to those questions useful to you. If you want to find out more, get more information about the hormone and the diet, you can go to my website, hcgchica.com. I have tons of free information on there. I’m constantly adding to it. I usually post a new video, an article, and now it’ll be podcast about once a week or so, and you can also get on my email list there if you want. Usually I’ll send out an email when I get a new blog post; that way you don’t have to constantly go check it at different times to see if there’s something new. This way you can just wait, and I will notify you when there’s something new. So that’s another thing that you can do. Yeah, other than that, for any of you who aren’t too familiar with me yet, if you’re new to me because you find me on iTunes or whatnot, I have my entire weight loss journey on my webpage. I have my story under my diet results, and you can just see what my story was. 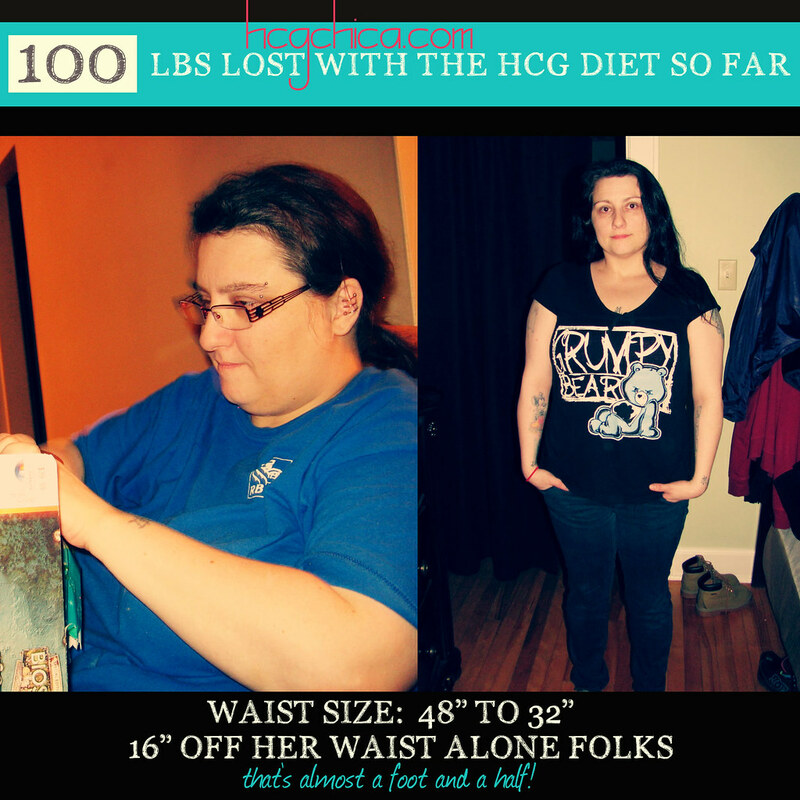 I ended up losing over 50 pounds with HCG. It’s been an entire year now since I lost that weight, and I’ve been maintaining an athlete’s level body fat percent, in fact, 17.8%. It’s just been quite a life-changer for me. It was this huge springboard to better things. Since I got to a normal weight with this diet plan, I’ve been cross-fitting now for close to two years. I kind of got to a median weight at a point where I could start doing more physical activity and feel good about it partway through my weight loss journey, so after my third round I started going to cross-fit, and then I only stopped briefly to do two additional rounds during the next year. But yeah, almost two years in cross-fitting now, and I just absolutely love it. I’ve gotten really strong. I definitely know that I would not be here today if I hadn’t had this protocol to start with. I just feel like it completely, completely changed my life. Which is one of the reasons I’m so passionate about the subject. All right, thanks so much for listening, and I’ll talk to you guys soon. Bye. Good morning. My boyfriend and I are on Phase 2 day 13. He has lost 18 lbs and I have lost 14.8 lbs. I am craving chocolate and was wondering if chocolate delight is acceptable? Will eating macadamia nuts boost our keystones and assist in weight loss as some have posted? I watched your video on coconut oil and understand your resistance. I hope this helps someone. First of all I love your blog!! So helpful!! Second I bought the nuimage pellets excited I could travel easy with then. Big Mistake!! I can’t get my dose right!!!! I’m losing, but so tired/hungry all the time!! I’ve skipped a dose, tried 1/2 pellet, but it’s impossible to find tune it. Might switch to injections mid round here. Just fyi to someone else looking into this. Yes, Rayzel’s concern with them is the prescription pellets come as 1 single pellet per day, in the amount of 500iu each. This is a pretty high dosage of hCG, taken all at once each day (as a comparison, most injection users are taking only 125-150iu per day of hCG). She was concerned about hunger (as both too high and too low a dose causes excess hunger) and the fact that since the best dose for an individual varies, there is no consistent way to change your dose when the hCG is in this single pellet form (like what, you’re going to break off a tiny piece each day and hope it’s now 400iu?). From other’s feedback, it appears that those who have more weight to lose, say 60lbs+, the pellets have been great and they haven’t experienced hunger, but those who have less to lose have experienced hunger so it seems like leaner people may not find the pellets to be the ideal choice for them.